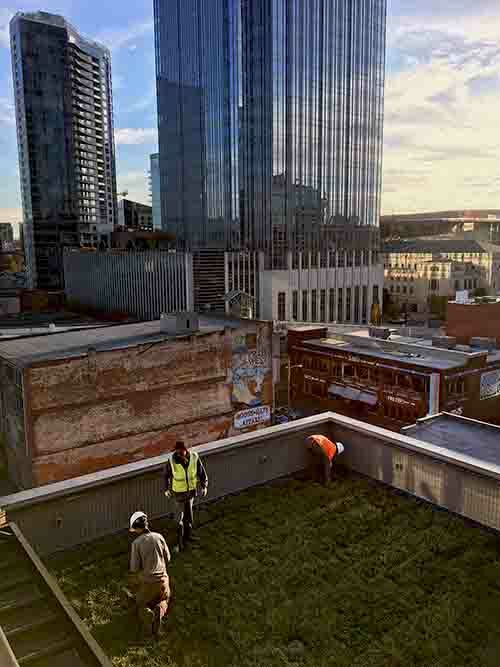 Nashville Underground | commercial | Living Roofs Inc. 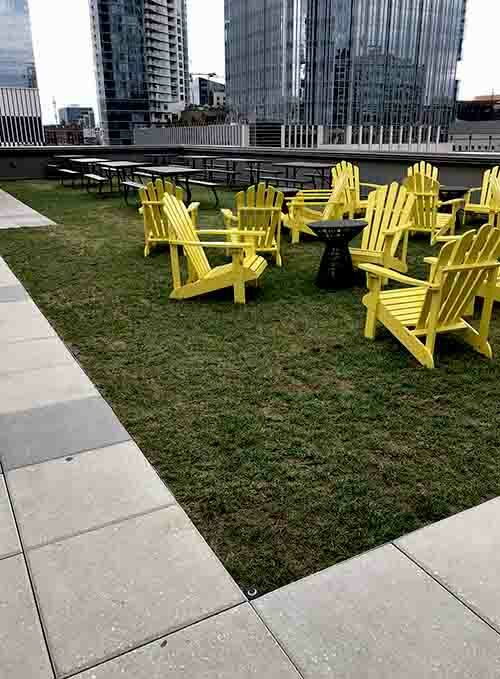 Dining and amenity space with 360 degree views. 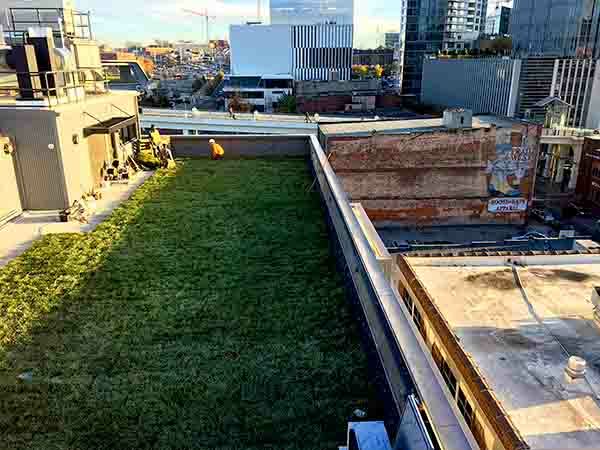 The green roof tops out the 6 story building on historic Lower Broadway creating a green amenity to take in the stunning views of downtown Nashville.